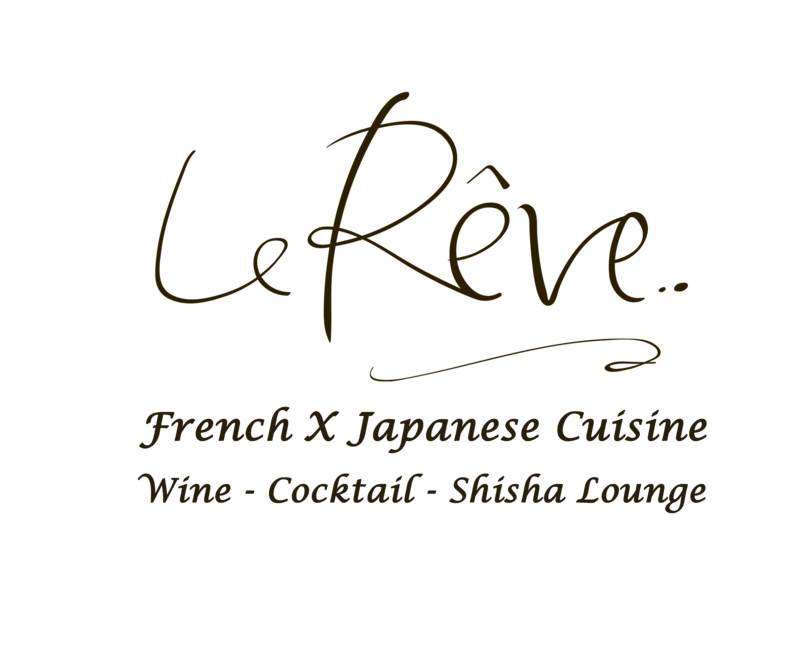 HONG KONG, 29 January 2019 – A new year brings new beginnings, and Le Rêve – the fine dining French-Japanese fusion establishment located at the heart of the city– is introducing all-new seasonal menus in from February to April. Featuring premium ingredients such as sea cucumber, foie gras and lamb rack, the new dishes are designed to transport guests through their very own culinary adventure in order to realize their gastronomic dreams. The latest reiteration of Le Rêve highly successful “Dream” menu concept, which the restaurant introduced last year, continues to encourage diners to allow their imaginations to run wild, and embrace new dishes – many of which challenge pre-conceptions, offering interesting flavors that have never been tasted before. 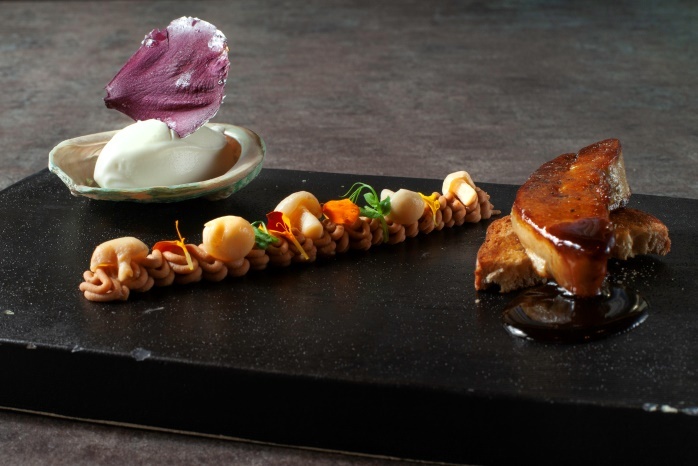 Available in four, six or eight courses, the new menus promise diners an unforgettable dining experience with classical delights that include a decadent appetizer of Pan Seared Foie Gras, served alongside chestnut puree, Japanese mushrooms and yoghurt ice-cream. 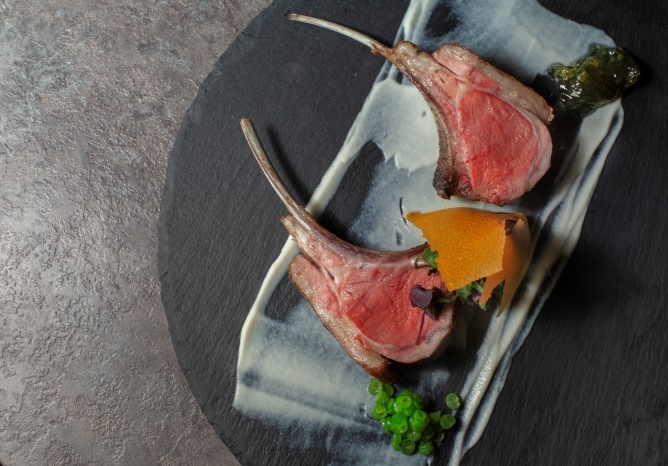 The exquisite culinary escapade continues with a show-stopper main course of New Zealand Lamb Rack. Packing plenty of robust flavors, the lamb – cooked to a perfect blushing pink – is accompanied with cauliflower puree, red wine pear and homemade mint jelly. Frequent diners at Le Rêve will immediately recognize that two of the restaurant’s signature dishes – Lobster Tail with Truffle Oil along with Kagoshima (+HK$198) will continue to feature in the new Dream menus. 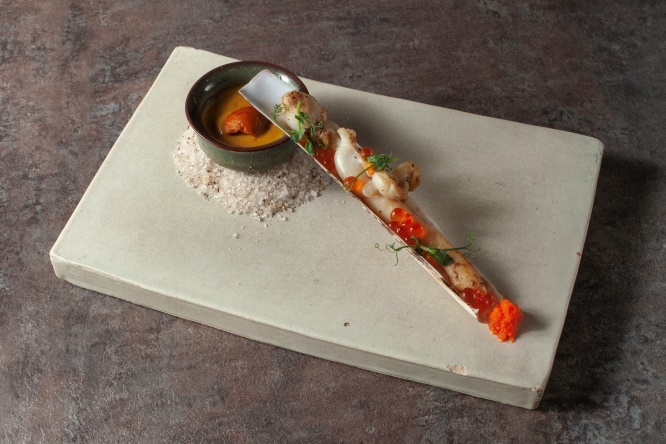 Diners that opt for the six-course menu will be treated to a Razor Clam appetizer, paired with luscious Hokkaido uni, miso crèmè brulèè, and salmon roe. 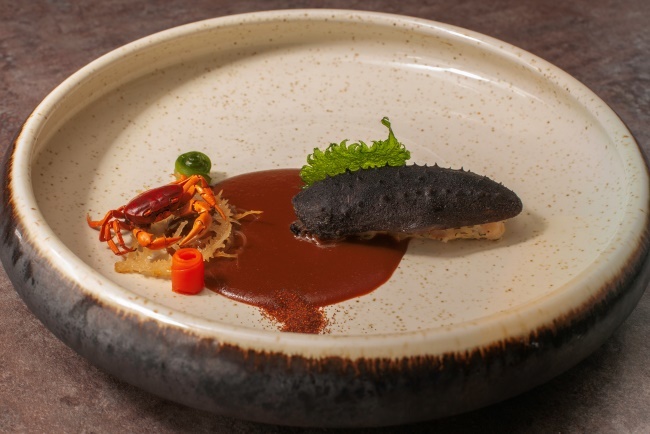 Guests that choose the eight-course degustation menu will relish the cuttlefish stuffed-Sea Cucumber entree, with oyster & lobster sauce, dried shrimp roe and dill. 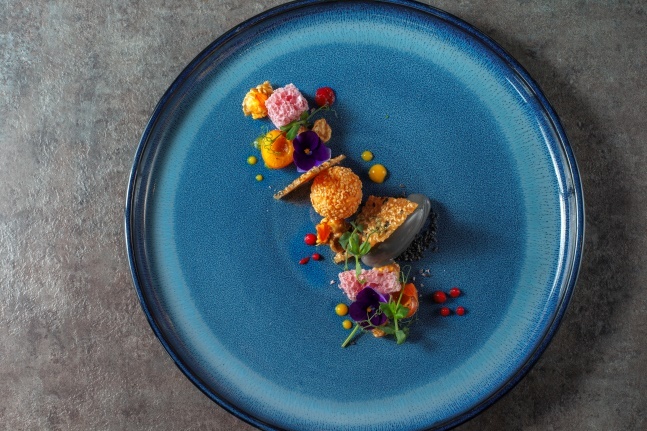 The dessert of choice for both the six and eight-course menus is Sesame Ball, a highly indulgent creation served alongside ice cream, black & white sesame crackers and cherry chocolate rock. Meanwhile, the highlight of the new menus has got to be the surprise dishes prepared each day by Le Rêve’s Head Chef, and available exclusively on the eight-course menu. 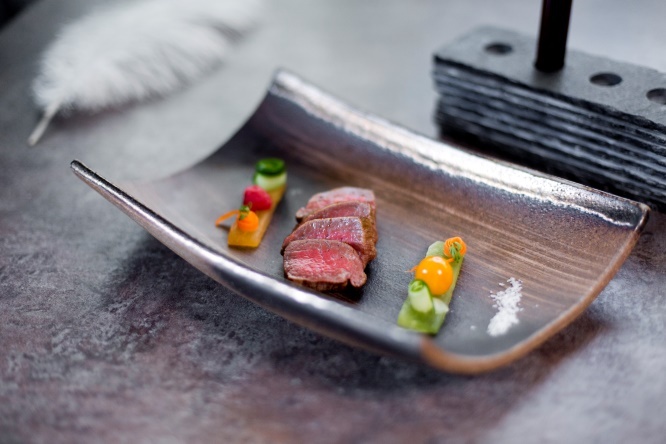 Paying homage to the Japanese omakase style dining, diners place their trust on the restaurant’s talented chefs and are transported to a gastronomic dream unlike no other, as they are treated to a divine and expansive array of French-Japanese cuisine. 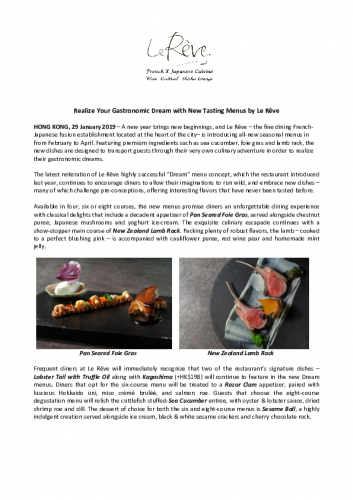 Available from from February to April, the new Dream menus are priced at HK$590, HK$890 and HK$1,190 for four, six and eight courses respectively, with wine pairing also available.